When we first started recording Talking 80s Music with Martin Hennessy, we decided that Tony Carey would be a great artist to feature. We contacted his management. We talked to him. An interview was scheduled early on but we never seemed to find the right time. He had just finished touring, was working on the release of two different albums. So this week, we decided to feature him without the interview. The timing couldn't have been more eerie as I had a friend that was asking me just a few weeks ago about an album he picked up in college called Planet P. He couldn't find it anywhere. You can find it on sale at iTunes, now. The former Rainbow keyboardist had a string of solo hits in the 1980s. We featured "A Fine, Fine Day" from his Live In Sweden 2006 Volume 1 album, "Why Me?" 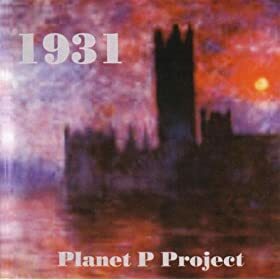 from his 1983 Planet P Project self-titled release and Planet P Project's "Join The Parade" from their recent album 1931: Go Out Dancing (Part 1). We also had an Australian caller before the end of the show. And yes, he really was heading off to church at the time. from "Live in Sweden 2006 Volume 1"
from "1931 Go Out Dancing (Part 1)"